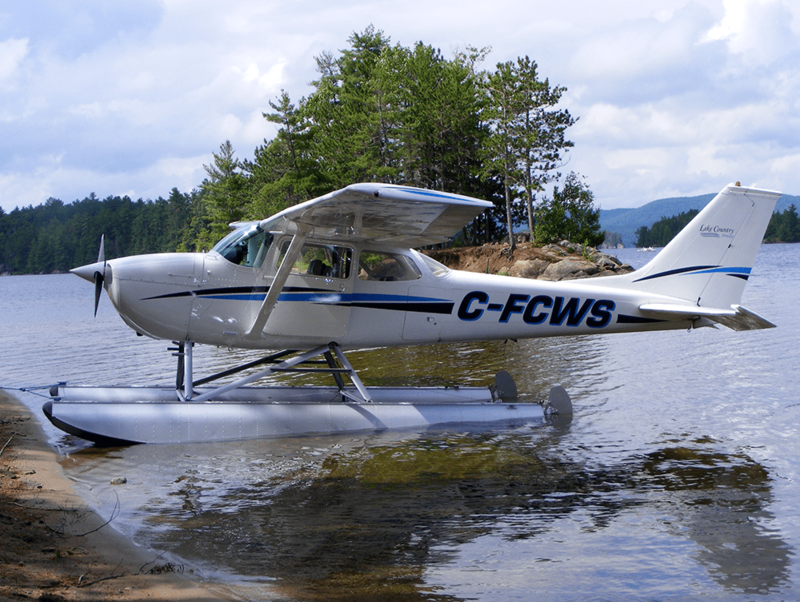 If you already have a float endorsement, and under the discretion of the instructor, our Cessna 172 on floats may be rented on an as-available basis. Some restrictions may apply depending on student experience and total float time. Pilots must be current and require an annual check ride as well as a checkout if they have not flown the aircraft within 30 days. When you’re sitting in the cockpit, you’re in control. Imagine navigating your own, personalized journey through cottage country with friends or family, as you fly over the remarkable panorama of nature with all the freshwater lakes and the stunning blanket of greenery below your feet. Touchdown in one of the area’s most notorious hard-to-access fishing spots, visit different friends in multiple far-away cottage locations or land a table at Henry’s Fish Restaurant, the world-famous fish and chips hideaway that can only be visited by boat or plane.